'Leprechaun'(1993): An evil leprechaun, played by Warwick Davis ("Willow," "Star Wars" movies), stops at nothing to find every last bit of his gold in this campy 1990s flick. 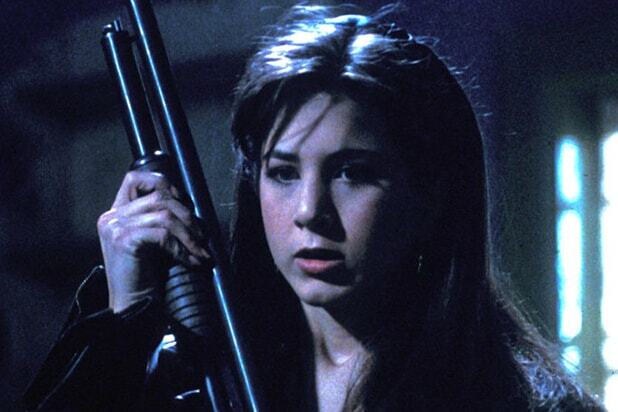 Hand it to pre-"Friends" Jennifer Aniston for doing her best, considering a flat plot and even blander writing. From Davis' cartoonish monster mask to the film's ludicrous one-liners, "Leprechaun" has a better shot at cracking you up, rather than causing you to crack from fear. 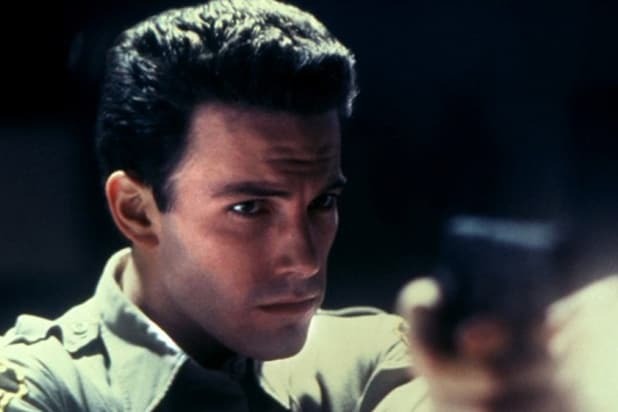 'Phantoms' (1998): Starring Ben Affleck and Rose McGowan, this 1998 film adaption of a Dean Kootz novel recounts the tale of small-town Snowfield, Colorado, plagued by a subterranean entity. The visiting Lisa Pailey (McGowan) and local police (one of whom is Affleck) team up to combat the mysterious force. Though "Phantoms" makes for cheap thrills, with some unexpected jump scares, its convoluted storyline and shoddy special effects warrant more chuckles than scares. 'Psycho' (1998): Some say imitation is the best form of flattery, but this horror remake feels more like a low-quality copy-and-paste of the 1960 original. Vince Vaughn, starring as Norman Bates, struggles to display the unnerving delivery demonstrated by his predecessor Anthony Perkins. 'Wolf' (1994): What do you get when you combine a work demotion, a love triangle and werewolves? An overall spook-less experience, starring Jack Nicholson and Michelle Pfieffer, that takes itself too seriously to thrive as a horror film. Though "Wolf" displays impressive horror make-up, its subliminal dialogue about human nature encourages audiences to think rather than freak. 'The Happening' (2008): Mark Wahlberg and Zooey Deschanel attempt to escape vengeful forces of nature that are eradicating the human race with air-born toxins. The movie manages to comedically weaponize trees and plants in what has little chance at being the poignant -- and scary -- eco-thriller it aspires to be. 'Book of Shadows: Blair Witch' (2000): Shortly after the widespread popularity of "The Blair Witch Project," this followup film tracks a group of graduate students who visit the eerie town of Burkittsville, Maryland in the hopes of experiencing the Blair Witch for themselves. Falling in the shadows of its incomparable predecessor, "Book of Shadows" lacks originality but tries to compensate by predictably borrowing elements from the first film in the franchise. 'Thir13en Ghosts' (2001): Following the death of his ghost hunter uncle, widower Aruther Kriticos (played by Tony Shalhoub) inherits his uncle's estate, a large glass house also inhabited by 12 captive ghosts. Whether it's the goofy dialogue or the silly-looking ghosts, "Thir13en Ghosts" provides a nonsensical experience that no amount of star power, smog or flashing lights can save. 'Paranormal Activity 2' (2010): Simultaneously a sequel and a prequel, "Paranormal Activity 2" stars Brian Boland and Katie Featherson in yet another found footage horror movie. This time documenting a family's efforts to keep their baby boy safe from demonic forces, the second film in the franchise fails to move beyond its predecessor's shadow. 'Truth or Dare' (2018): College students, played by the likes of Lucy Hale and Tyler Posey, find themselves in the hands of a blood-thirsty demon after playing a game of truth or dare in an abandoned church in Tijuana, Mexico. With a mostly predictable plot line and old fear gimmicks, the truth is this Blumhouse film didn't dare to move beyond the typical techniques of cheap horror films. 'The Nun' (2018): Joining the latest flick in the "Conjuring" franchise, "American Horror Story" star Taissa Farmiga investigates a Romanian monastery gone unholy. Similar to the other films in the "Conjuring" universe, "The Nun" seems to build its slow narrative around its plethora of jump scares, bringing nothing new or unexpected to the table. 'The Wicker Man' (2006): Policeman Edward Malus, played by Nicholas Cage, finds himself in an eerie, dystopian island when the search for his ex-fiancée's daughter takes a wicked turn. The 2006 take on the 1973 film of the same name thrives with horror tropes like pentagrams, crows and disembodied laughs, but stumbles on itself with an utterly scattered, yet laughable ending that we won't spoil for you here. 'The Wolfman' (2010): Emily Blunt, Benicio Del Toro and Anthony Hopkins star in a lousy, CGI-saturated remake of a 1941 horror classic. Following a Shakespearean actor's somber homecoming turned gruesomely violent, "The Wolfman" allows Del Toro to deliver nuanced performances as both the monster and victim of a supernatural family curse. However, not even the actor's skills could compensate for the movie's shoddy -- and now dated -- CGI job. 'Anaconda' (1997): When a team of documentarians and a snake-hunter in the Amazon forest encounter a giant, man-eating snake, things get a little twisted. Featuring an all-star roster that includes Owen Wilson, Jennifer Lopez and Ice Cube, the 1997 adventure horror picture relies too heavily on its absurd low-quality CGI villain to instill a sense of fear. 'House of Wax' (2005): Not even Paris Hilton could make "House of Wax" fabulous. In the 2005 flick, a group of college students on their way to the big game find themselves at the mercy of strangers and stranded miles away from the nearest city, where the main attraction is the abandoned Trudy's House of Wax. While exploring a small town's museum, the group discovers a disturbing truth behind the seemingly perfect wax figurines that forces them to find a way out. A lackluster and accidentally comedic remake of the 1953 original, "House of Wax" gives an OK addition to the slasher genre. 'Urban Legend' (1998): Starring Jared Leto and Alicia Witt, "Urban Legend" takes an amalgamation of age old superstitions and myths and presents it in an unoriginal slasher format. Pendleton University student Natalie Simon seeks to get to the bottom of a string of urban legend-inspired murders affecting her friends and loved ones, before she becomes the killer's next victim. Debuting nearly two years after "Scream," "Urban Legend" fails to bring anything original or particularly scary to liven up its lifeless and cliched plot. 'Cursed' (2005): A film fit for Halloween,"Cursed" stars Christina Ricci and Jessie Eisenberg and hails from prolific slasher film director Wes Craven. This movie promises a fun watch, though it's not scary because it's a hyper-aware horror parody. Victims of an initially unknown infection, siblings Ellie and Jimmy Meyers attain werewolf abilities while sleuthing to find the epidemic's origins. Enter supernatural STDs and werewolf cat fights for added funny thrills. 'Secret Window' (2004): A psychological thriller with a horror movie twist, David Koepp's "Secret Window" centers around recently divorced writer Mort Rainey (Johnny Depp) and his quest to define a perfect ending for his upcoming novel. When an unknown man by the name of John Shooter (John Turturro) accuses Rainey of plagiarism, Rainey begins to recall the violent reality of his actions. "Secret Window," more confusing than haunting, not only paints a bad picture for those suffering with mental illness, but also leaves the audience with an unmoving, unclear, albeit supernatural ending. 'Mirrors' (2008): Alexandre Aja's "Mirrors" follows former NYPD officer Ben Carson (Kiefer Sutherland) turned abandoned department store night guard as he attempts to unravel the demonic background of his new workplace and protect his loved ones. While "Mirrors" presents an eerie narrative idea, it was panned for tripping on itself with an over-complicated plot, botchy dialogue and unnecessarily graphic imagery -- making an overall unsatisfactory spook.